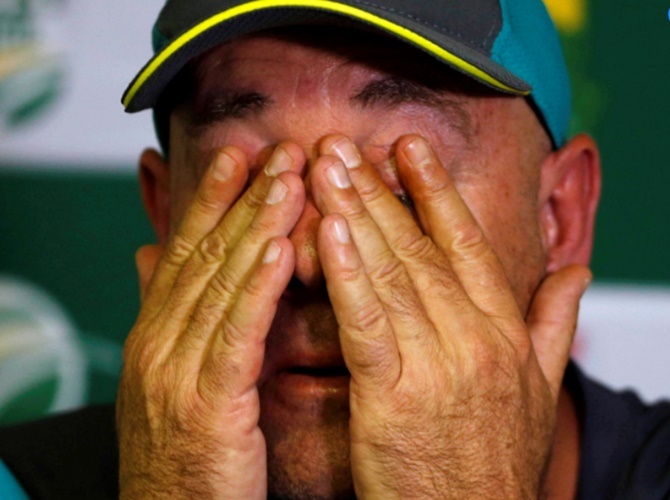 An emotional Australia cricket coach Darren Lehmann said on Thursday he was stepping down after this week's Test match against South Africa due to abuse he and his family received over a ball-tampering scandal that has rocked the sport. 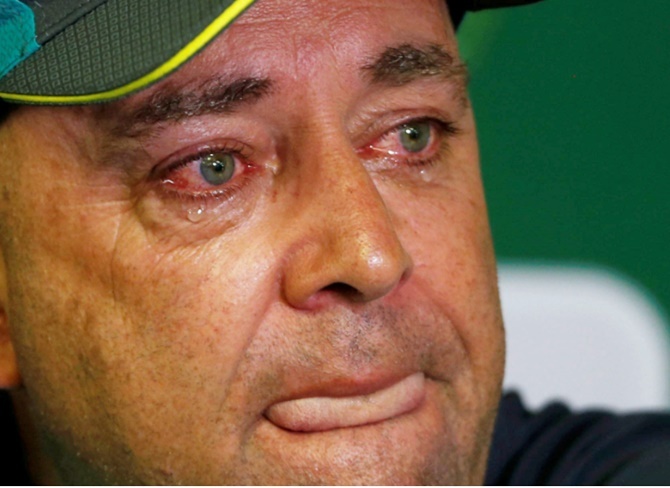 His voice choking with emotion at a news conference on the eve of the Johannesburg Test, the last of the four-match series against arch rivals South Africa, Lehmann said his decision to quit was tough but voluntary. "My family and I got a lot of abuse over the last week," said Lehmann, a burly former Test player known for his no-nonsense approach on and off the field. "Speaking to my family, it's the right time to step away." He conceded that he should take some blame for the aggressive culture that has developed in the Australian team during his time as coach. "Ultimately I'm responsible for the culture of the team. Been thinking about my position for a while, despite telling media yesterday that I'm not resigning," he said. "It's only fair that I make this decision," he said. Former players had been calling for Lehmann's head, suspecting that he might have been involved in the ball-tampering plan that led to the sacking of Smith, vice-captain David Warner and opener Cameron Bancroft. However, Cricket Australia cleared Lehmann of wrongdoing, with the organisation's CEO, James Sutherland, saying Lehmann was as surprised as the thousands of spectators in Cape Town's Newlands stadium and millions more watching the images at home.